E. J. "Buddy" Pope, Jr. Celebrating the life of E. J. "Buddy" Pope, Jr.
Be the first to share your favorite memory, photo or story of E. J. . This memorial page is dedicated for family, friends and future generations to celebrate the life of their loved one. Obituary for E. J. "Buddy" Pope, Jr.
Mount Olive businessman and petroleum entrepreneur, Emmett Judson “Buddy” Pope, Jr., passed away Wednesday night, July 11, 2018, while being cared for at Kitty Askins Hospice Center. Mr. Pope was the son of the late Emmett Judson Pope and Mary Newman Pope. After his service in the military, he joined his father in the operation of the family business which had been begun in 1919 by the elder Pope following his own return from World War I service. In this capacity, Buddy assisted in bookkeeping and also in delivery service. E. J. Pope Coal Company, in its early years, used horse-drawn wagons to haul coal from the train to the coal yard. In the early thirties, the company hauled brick, stone, and other supplies from the train to construction sites. In 1938, home heating oil was added to the business, with the name of the company being changed to E. J. Pope Coal & Oil Company to reflect its expansion. It was in 1957 that Buddy Pope became a principle in the business, and signed a contract with a major petroleum company, entering into the gasoline business. Rapid growth and change was experienced by the company. In 1960, the home heating oil segment enlarged with the purchase of an oil business and the company was incorporated at that time as E. J. Pope & Son, Inc. The company embarked on the convenience store market in 1975, opening its first store with the name Handy Mart. Numerous other Handy Marts have since come into existence in the corporate chain. In 1994, Subway was introduced in the market, and today, several stores have that concept. E. J. Pope, Inc. and its subsidiaries, Handy Mart and Pope Transport, continue to be owned and operated by the Pope family. Mr. 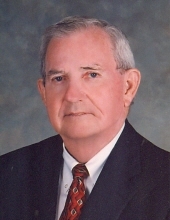 Buddy Pope, a proud Eagle scout, graduate of Mount Olive High School, and graduate of University of North Carolina at Chapel Hill in 1953 with a bachelor degree in business administration, was a civic and community leader and had served on numerous boards which include, Mt. Olive Pickle Co., Mount Olive College (now University of Mount Olive), N.C. Petroleum and Convenience Marketers, N. C. Aquarium, Goldsboro Country Club, Coral Bay Club, and various other local boards. Mr. Buddy Pope was a member of First United Methodist Church of Mount Olive, and it is there where his life will be remembered in a worship service to be held Saturday, July 14, at 11 a.m. The Rev. Marti Hatch and the Rev. Michael Binger will officiate. The Pope family will receive friends in the church fellowship hall during the hour before the service. Interment will be private. In lieu of flowers, memorial gifts may be made to the Handy Mart Business Scholarship Endowment, University of Mount Olive, 634 Henderson St., Mount Olive, NC 28365, or to First United Methodist Church, PO Box 420, Mount Olive, NC 28365. Mr. Pope is survived by three children, Mary Louise Pope and her husband, Patrick Willard Kennedy of Clayton, Cornelia “Nealy” Pope Lambert and her husband, Dr. James Royall Lambert of Mount Olive, and Emmett Judson Pope III and his wife, Kimberly Mewborn Pope of Goldsboro; three grandchildren, Gray Sloan and wife, Jessica Davis Sloan, of Garner, Abbey Pope and Margaux Pope, both of Goldsboro; two great-grandchildren, Sadie and Stella Sloan of Garner; a sister, Mary Elizabeth Pope Davenport and husband, Ed, of Raleigh; and several nieces and nephews. The family also wishes to acknowledge Wayne Jacobs and Mark Suggs, Mr. Buddy’s personal assistants, for their loyalty in caring for him during his final years. Preceding Mr. Pope in death is the mother of his children, Cornelia “Connie” Williams Edwards; an infant granddaughter, Cornelia Elisabeth Sloan; and a sister, Jean Pope Montague and husband, Ira. To send flowers or a remembrance gift to the family of E. J. "Buddy" Pope, Jr., please visit our Tribute Store. "Email Address" would like to share the life celebration of E. J. "Buddy" Pope, Jr.. Click on the "link" to go to share a favorite memory or leave a condolence message for the family.